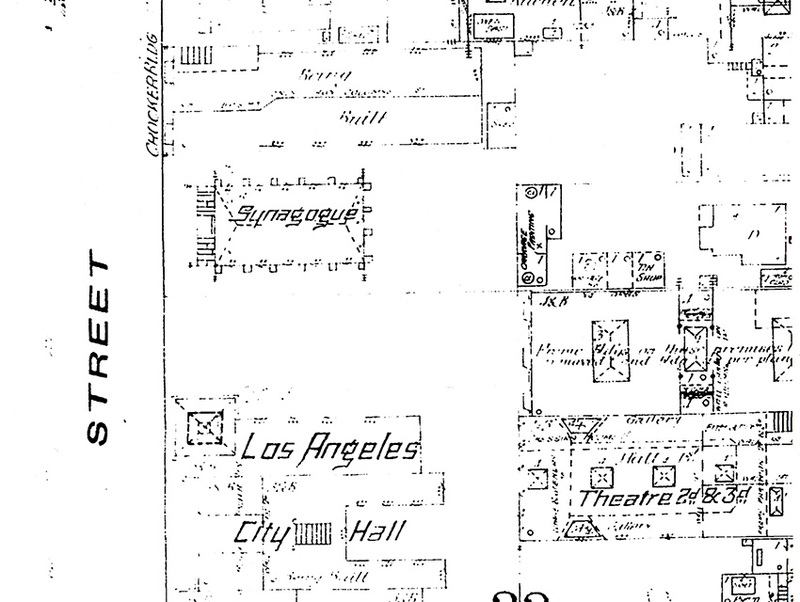 In celebration of Chanukah, the Festival of Lights, we salute the role of Jews in Los Angeles history by focusing on the synagogue known today as the Wilshire Boulevard Temple. Local Jewish history begins in 1841 with Jacob Frankfort, the first of a growing population that found the city tolerant and accepting. Historian Harris Newmark details the growth of the community, which held services in private homes before establishing the Hebrew Benevolent Society (at the urging of Solomon Carvalho) in 1854, developing a Jewish cemetery in Chavez Ravine in 1855, and organizing a formal congregation, B’nai B’rith, led by Harris’ uncle, Joseph Newmark, in 1862. Newmark later invited Rabbi Abraham Wolf Edelman to oversee the congregation of more than 300. 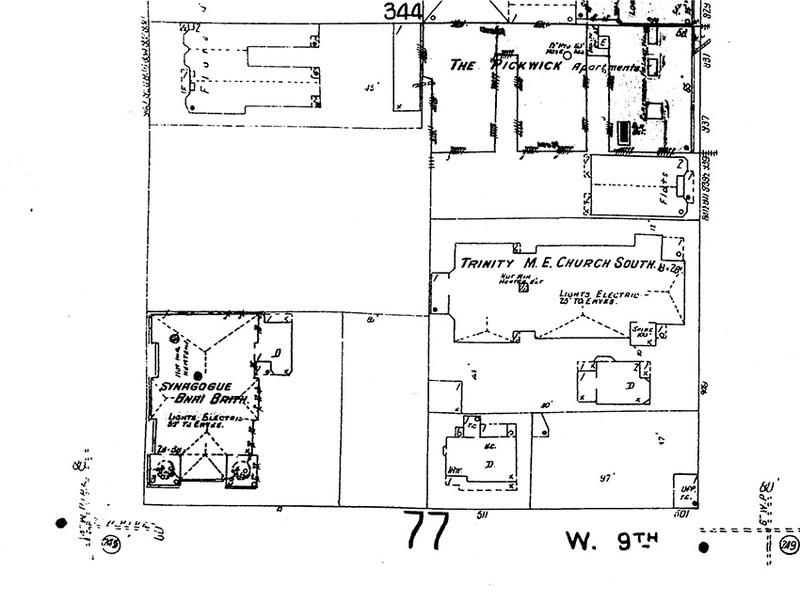 The first brick-and-mortar temple was a Gothic Revival style worship center that served some 40 Jewish families. It was built on Fort Street (now Broadway) near 3rd Street in 1873. 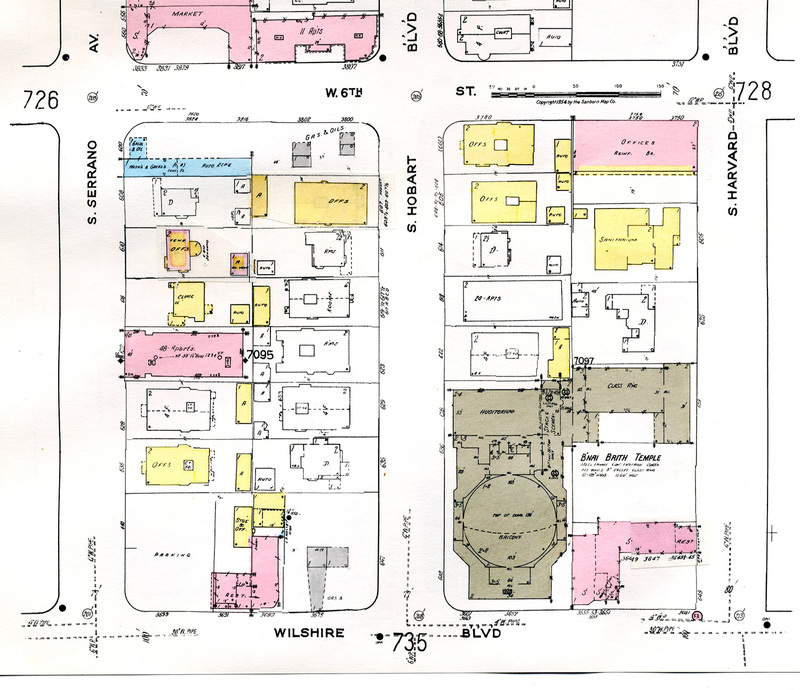 By then the city had had a Jewish city attorney, mayor, president of the volunteer fire department, and chief of police (along with Jewish vintners, millers, and department store owners, too). Yet when Americans from other areas flooded into the city during the land booms, anti-Semitism reared its head. The Jewish community, however, continued to thrive. At the turn of the century, there were 2,500 Jews living in Los Angeles; by the end of World War I that figure had increased to 20,000. Many lived in Boyle Heights. Meanwhile at B’nai B’rith an energetic young assistant rabbi named Edgar F. Magnin was on his way to becoming Senior Rabbi—a position he took in 1919 and held for the next 65 years. Rabbi Magnin’s dream was to build a beautiful new synagogue away from the hectic life of downtown, and with the generous help of newly wealthy movie industry scions, he brought a magnificent structure to life. He built the 135-foot tall temple on Wilshire Boulevard just beyond the (then) western boundary of the city. Its Byzantine Revival-style dome (100 feet in diameter) made it one of the most impressive buildings in Los Angeles. The interior, decorated with a breathtaking 320-foot long mural by Hugo Ballin (commissioned by the Warner brothers of Warner Bros. Studios), is a most impressive sight. The famed “rose window” depicts a Torah scroll, a Star of David, and the twelve tribes of Israel in stained glass. In total, the temple cost a whopping $1.5 million to erect in 1929, and it became the place to worship in town. In its heyday, Wilshire Boulevard Temple possessed one of the most glamorous congregations in the world, with the film industry heavily represented. A major restoration of the sanctuary was completed in 2013. The expense: precisely 100 times the original cost of construction.